Dr Jo‐Anne Manski‐Nankervis has been selected to attend the U21 workshop “Big data at the heart of the 21st century research”. Dr Jo‐Anne Manski‐Nankervis has been selected as one of four early career researchers from the University of Melbourne to attend the U21 workshop “Big data at the heart of the 21st century research” in Edinburgh in September. 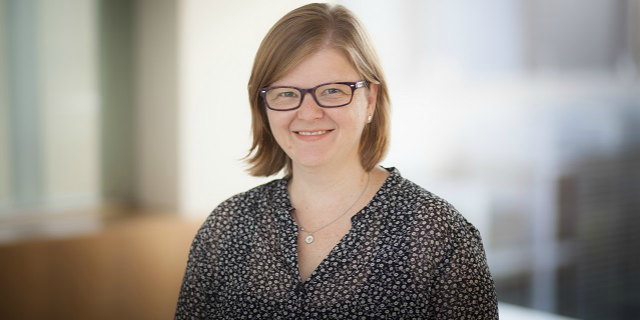 Jo‐Anne has been undertaking work exploring the screening, prevalence and management of chronic kidney disease in people with type 2 diabetes attending general practice utilising data from the NPS MedicineInsight program. This workshop will provide the opportunity to network with experienced researchers and explore methodological and ethical considerations related to the use of large data sets which will inform her future work. Jo-Anne has joined the Teaching and Learning Team as Lecturer – Primary Care, coordinating teaching of the general practice components of the Doctor of Medicine (MD) degree. She is combining this role with her work as Diabetes Research Fellow in the Department where she is currently exploring the screening, prevalence and management of chronic kidney disease in people with type 2 diabetes using a large general practice dataset. Jo-Anne is a GP who has worked in the Department since 2010, when she commenced work as an academic registrar. She completed her PhD exploring how health professionals work together to commence insulin for people with type 2 diabetes in 2015. She works at Eastbrooke Family Clinic Essendon and is on the Board of the newly-formed Primary Care Diabetes Society of Australia.